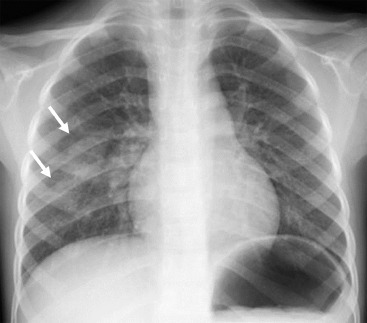 Round pneumonia is a term referring to round or oval densities on chest X-ray, and often recognized in the pediatric age group, especially under the age of 8 years. 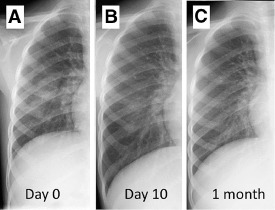 Round pneumonia is well known to radiologists, but it is rare for the pediatricians to encounter the patients with this characteristic shape of pneumonia mimicking lung mass. 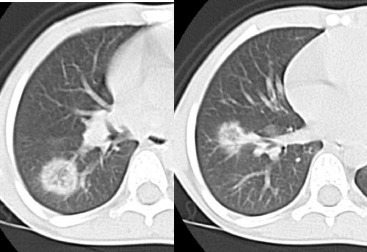 Therefore it is a burden for physicians to differentiate round pneumonia from other diseases such as bronchogenic cysts, carcinoma, or neoplasm metastases. Published in the journal Radiology Case Reports, the authors present a case of a child with round pneumonia, which was diagnosed as Chlamydia pneumoniae (formerly called Chlamydophila pneumoniae) with the increase of serum antibody titer. Multiple lesions and symptoms resolved after the introduction of oral antibiotics therapy. - This is the first case of pediatric round pneumonia with 2 lesions due to C. pneumoniae, the diagnosis of which had been serologically established. - Infection with C. pneumoniae should be added to the lists of the agents causing round pneumonia.